CAUTION: If you make this beverage, your husband will mock you. Your parents will think you are crazy. And your dog will turn away in disgust. I stumbled across green smoothies when I was looking for a way to incorporate more vegetables into my diet. Sure, I’ll eat some broccoli with dinner — so long as it’s cooked and partly saturated with olive oil, salt, and pepper. I may even add a cucumber to a sandwich. But I’ve never been a big vegetable eater. Which is sad. Vegetables are good for you, right? They’re full of nutrients, barely have any calories, and have plenty of fiber to help you feel full. All of that sounds great. Now if only I could get over the way they taste. So one day I’m hanging out on the interwebs, and I have this crazy idea. What if I try to eat vegetables — in the morning? I definitely couldn’t just eat a plate of spinach or some raw veggies, but maybe there’s a way to trick yourself into eating more veggies. I’m convinced that there is no tastier way to consume vegetables. A green smoothie is pretty much magic – it’s full of veggies and tastes like fruit! Which is to say, it is delicious. Apparently, people have been making them for much longer than I have, and there’s a whole fathom of recipes out there. But for this post, since I’m a green smoothie beginner, I’m going to go straight back to the basics. The ingredients I’ve been enjoying in a green smoothie are almond milk, spinach, blueberries, bananas, avocado, chia seeds, and agave. I like to use almond milk instead of regular milk because it has a lighter taste. The spinach is my veggie; so far, it’s the only one I’ve tried, and I’ve been impressed. The blueberries make the smoothie yummy. Half of a frozen banana makes it creamy. Chia seeds make it more filling and are full of Omega-3s. Half an avocado gives it some healthy fat and more staying power. And a little agave, a natural, low glycemic sweetener that doesn’t spike your blood sugar, adds a touch of sweetness. 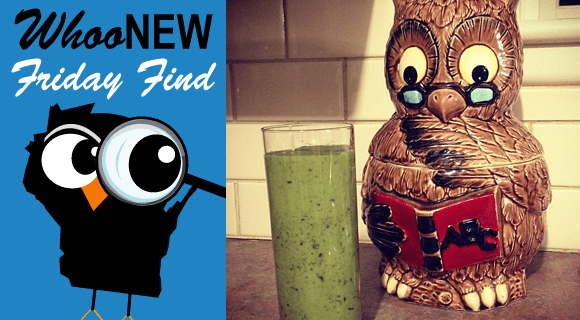 So here’s the unlikely herbivore’s recipe for a green smoothie. Enjoy! Throw in the blender and enjoy! I like mine very cold, so I will put it in the freezer for a few minutes before consumption. I’ve thought about the ground flax seed! Chia is my first foray into adding seeds. Thanks for the tip! I only use unsweetened almond milk, but I’ve seen sugar in tons of different ones. I haven’t yet found a coconut milk without sugar.